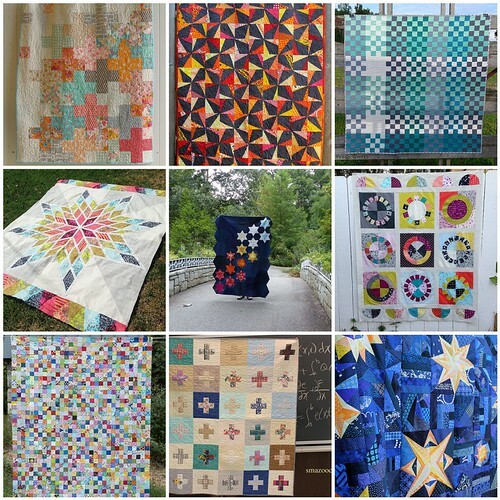 Every week I go through my favorite photos on Flickr, and choose nine sewing/quilting related projects to showcase here. These photos and projects are not my own, you can find the original images and creators by clicking the coordinating links! If for any reason you do not want your project featured here, please email me and I'll remove it! Love your work, love your fabrics, love your bunny! Wow, a great selection here. They all bring something different to the quilting table. Thanks for sharing!